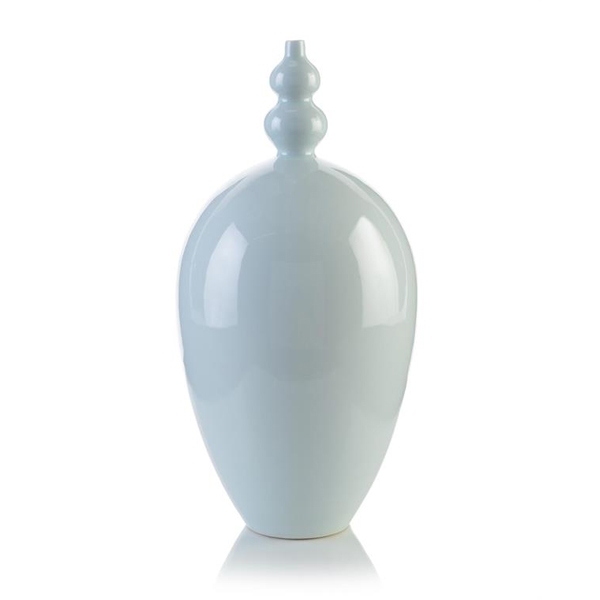 This unusual pale sea blue vase is distinctive with a small double-gourd neck and a full gourd body. This unique piece will add modern Asian charm to your decor. H 19.5" x D 9.5"